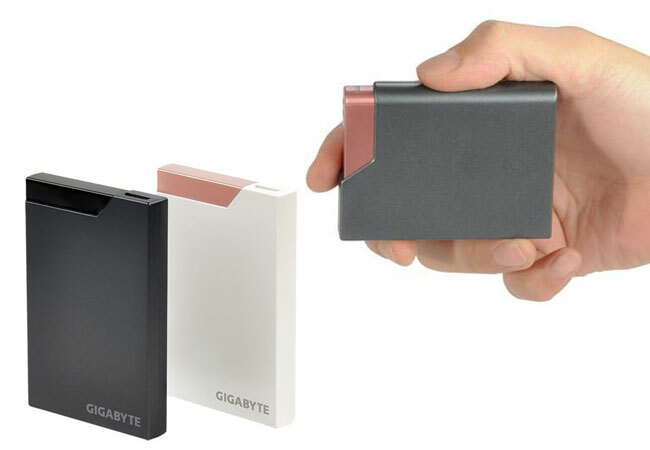 This week Gigabyte have launched the new tiny external hard drive In Taiwan, in the form of the Gigabyte A2 which measures just 78 x 59 x 13mm and weighs in at just 80g. The new Gigabyte A2 160 GB capacity drives are equipped with a shock and vibration absorption technology to help protect your data when the drive is dropped or bumped. The Gigabyte A2 drive uses a USB 2 connection with transfer speeds of 480Mb/s and is compatible with Mac OS 9.x or above, Linux 2.4.1.0 or above and Windows ME/ 2000, XP, VISTA , and Windows 7. Unfortunately at the moment Gigabyte haven’t released any worldwide shipping dates or prices has yet. But as always as soon as anything is released we will keep you updated.